Black beauty - she is good on gas and has 148, 000 miles and still going strong. 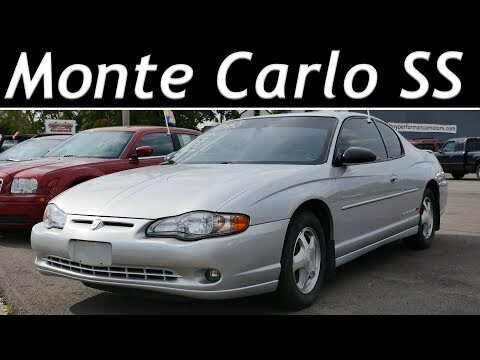 I purchased my 2001 Chevrolet monte Carlo ls out of the showcase room. Beautiful black sleek looking car. The only problem that I had with this vehicle was the security system which sometimes kept me from going anywhere, had to sit in the car for a full 10 minutes while the key is in the on position. When the security light finishes blinking on and off in the message center, turn the car and re-crank it back up and you are good to go. It didn't do it all the time but did it enough to make me mad. But anyways I still have this car and it has some minor things that need to be replaced but other than that it drives great. Easy fixer. Since it is a Chevy/gm the parts are very common and easy to find. The best features of my Monte Carlo are the cabin space and the nice handling/tight turning. The power is average, I get 27/28 mpg, even though it is listed as 21 mpg combined. The only problems I get with it are due from old age (18 years). Most of them are electrical and stereo related. Overall good car. Do not buy one with over 120, 000 miles on it or you'll be spending money on it pretty soon. The car I have spent my life with! I have driven this car for the last 16 years it is the single most dependable vehicle I have ever had.. Have had issues with the ignition and passlock security system which were related. Repairs are affordable and I can often do them myself. I love this car and wish Chevrolet would bring the model back so I could buy a new one.